It’s hard to believe that 2017 has already come to a close. While Nationals in Hartford seems worlds away, the start of the cyclocross season is much closer. This season hasn’t just included lots of racing, but also, meeting new friends, spending time with family, and of course, new adventures. 2017 has also been a year of continued growth – both personally and competitively. December was a hectic month of racing and travel. Starting with Ruts N Guts, I finished out my last two UCI races of the season in Tulsa and then at home in Dallas. After being on the road for much of the season, it was really nice to compete in front of a home crowd. While my luck ran out at the Resolution Cross Cup, I still had an awesome time and was able to gain some other , non-results based, positive takeaways from the weekend. There was one more weekend of racing to be had down in Fredericksburg, TX at Mr. Jimmy’s Butter Cross. It was a fun weekend of local racing and time with friends. I used to relaxed environment to work on my dirty-side dismounts and remounts in the race, as well as other important handling skills that will benefit me down the road. Overall, I’ve seen improvements through this type of intentional practice on fundamentals and my weaknesses. Results don’t always tell the whole story and I would say a fair number of people look at their place on the podium or on the race predictor as their personal measuring stick. But sometimes growth comes in smoother dismounts and remounts, better turning technique, or a better mental approach to races. Outside the tape, I’ve tried my best to find a balance between being an “all-in bike nerd” and being a good person. We all wear many hats but it’s easy to get so caught up in training, racing, and the selfish pursuits of an athlete that you neglect your support system. I’m not perfect and I’m sure there is value in “living like a monk” – aka locked away from the world worried about nothing but bike racing – but it’s important to do everything in moderation. For me personally, I’m making that balance one of my goals in 2018. Because let’s face it, when bike racing is gone, you’re left with the life and relationships you’ve made elsewhere. There’s still plenty of room for improvement, which leaves open many opportunities in the coming year. First on the docket, a trip to Europe to race cyclocross. I started racing cyclocross in 2012 and after watching the 2013 World Championships in Louisville I was hooked. I began following the racing more closely, checking the latest articles, watching the races each weekend, and obsessing about the sport. Seasons would come and go and with each passing year I got more experienced, delved deeper into the sport, and spent more money on bikes (n + 1, am I right?). Slowly but surely the desire to go to Europe, the mecca of cyclocross (and perhaps bike racing), grew more and more. 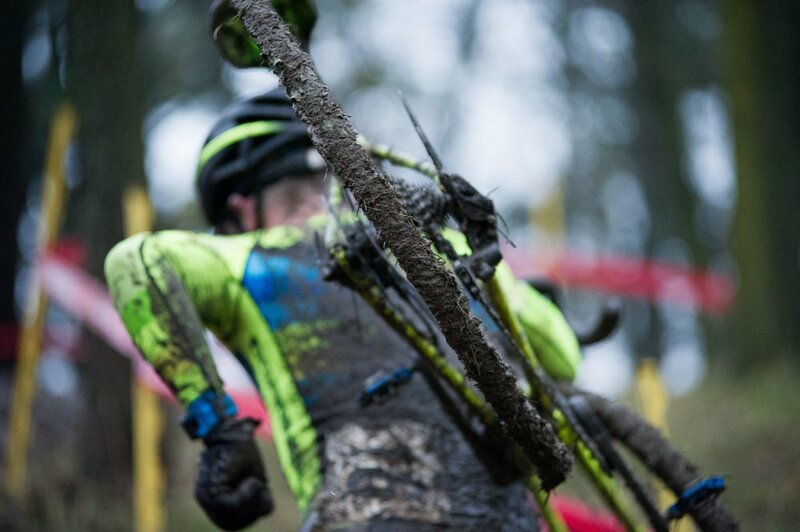 Okay, I’ll be honest, I watched one Euro cross race and wanted to go the next weekend. Ready to jump headlong into my new found passion for two wheels, I thought I was ready to make the trip, but each time I was sure this would be the year, something would hold me back. This past summer I was talking with a dear friend and mentor of mine. We chatted about goals, racing, life in general. Then I mentioned my desire to go race in Europe, to make a serious go of it and gain experience I’ve been dreaming of for the past four years. But again I began to hum and haw, talking myself out of such a far-fetched idea. Midway through my excuse he stopped me. “There will never be a perfect time to go,” he said plainly. I’m a big proponent of traveling, of taking advantages of the opportunities available to you. But in the same way friends will tell you how to spend your money, I was unable to heed my own advice. There will always be some reason to not go, some rope that ties you down to the ground and the only way this trip was going to happen, was if I made a commitment to myself. So began the planning and the coordination to spend a month of racing and training in Belgium. I didn’t tell many people at first, but once I began to verbalize my plans to others, I started to become more committed and was now “on the hook”. For the months of January & February, I will be based in Oudenaarde, Belgium, a small town outside of Ghent in East Flanders. I'll still be working at my day job, but with the time difference most of my days will be spent training and preparing for the upcoming races. There is definitely a lot to learn and I'm sure I'll return back home with more homework to do. But the point of this trip is not to mix it up at the front of the race - not to say I won't try. The point of this trip is to get experience, to learn what it takes to compete at the highest level, and to challenge myself to grow in ways I have yet to experience. *Spots for the World Cup are limited to top riders in the world. There is an application process, which I have completed, so there’s an outside chance I could race in France. Catch me on the livestream! Howboutdat? Finding a live feed for a European cyclocross race requires some experience and knowledge of the dark regions of the internet. 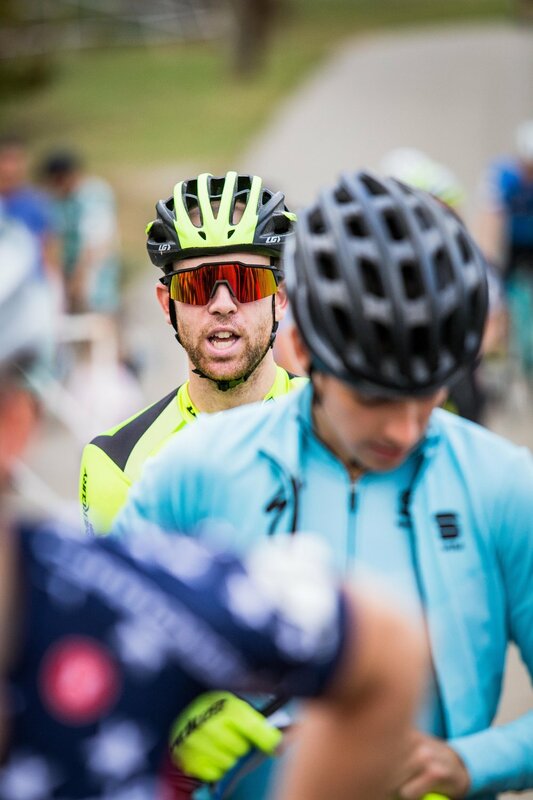 However, there are a few different ways you can try to catch the highlighter colors of my Garneau-Easton kit on the weekend. Cyclingfans.com – there are usually a number of feeds listed for these races posted each morning. The feed may be in Dutch/Flemish but if you’re dying to catch some cyclocross action, it’s a great way to get your fix! DVV Series – The DVV is one of the major series in Belgium that brings all the best racers. American company Trek Bikes has graciously bought the rights to show DVV races for FREE here in the US. Click the link to the Trek site and sign up to catch the last races of the series. YouTube – if you’re unable to catch the race in real time, you can usually catch a recorded replay of the event a few days after the fact. I’ve been trying to add them to my playlist as I find them, but over the last few months, some of the replays have yet to make their way to the internet. FloBikes.com – FloBikes is a subscription-based site where you can catch the races live. Replays are generally free but if you want to watch live, you’ll need to have a paid subscription (or borrow a friends!) to follow along. Thank you again for all your love and support! I appreciate the many of you that take the time to read these posts and I’ll do my best to keep them coming in the New Year!